Since my last life update post I've started my new job, which I'm really enjoying! Although I won't lie I do miss my ex work colleagues a little bit. I also attended the fabulous #BonPrixontherocks event at the Malmaison in Leeds, which was a great opportunity to meet lots of lovely bloggers and take part in a cocktail masterclass too. My full post on the event can be found here if you fancy reading more. 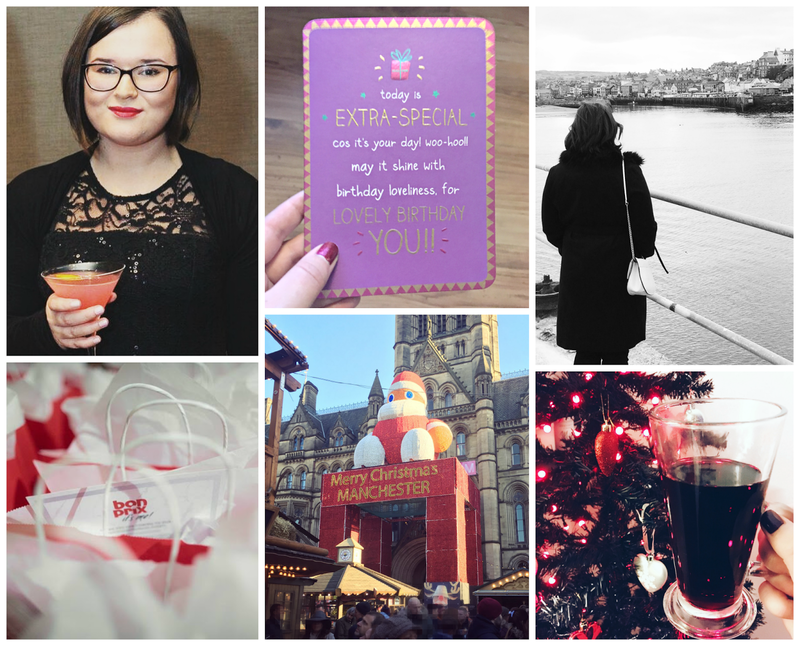 I recently celebrated my 22nd Birthday (which I have blogged about here), discovered the joy that is mulled wine, enjoyed a winter walk in Whitby and done the obligitary Christmas market visit. This weekend I'll be celebrating my boyfriends Birthday and going on the Harry Potter Studio Tour for their Hogwarts in the snow event (which I am SO excited about). I hope you enjoyed the final part of my 2016 in photos series. I will have a 2016 in review post up later in the month.